To have pleasant and clean garden and yard that won’t take too much of the pavement you should provide regular pruning of your hedgerows. This is work that should be conducted by qualified and skilled landscapers or gardeners. We can offer you our high-quality hedge trimming services that we offer in Putney, SW15 which guarantee perfectly maintained outdoor areas. Use them to keep the formative and adult shrubs you have properly cut and developing well. We offer regular and one-off shaping of bushes as well as professional consultation. Our gardeners do the work very well and clear the area from the wastes after themselves. We guarantee you that you will have your plants shaped and reduced in height and size to become thicker and healthier. 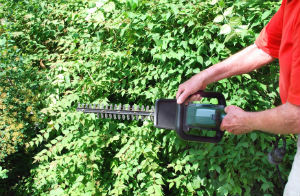 Our gardening experts have the proper tools, skills and experience to implement effective trimming of all hedge species at the most appropriate time. They use sharp enough shears, pruners, electric trimmers and other tools to implement efficient and well done work. 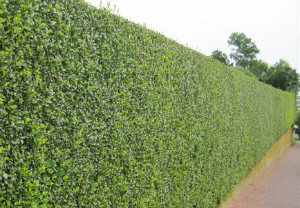 We carry out excellent hedge trimming to homeowners and holders of business estates in Putney which has great results. You can count on our gardeners to make your plants look better and grow in a healthier soil. Some shrub species need once in the year pruning while other require more often trimming to be in shape and develop properly. This should be done during the growing season or at another time depending on the age and specie of the plant. You can use other of the gardening services that we offer to make the improvements and innovations you need in your yard. Our hedge trimming is carried out in the SW15 territory during the whole week. Call us to book the inspection of your plants and receive a free quotation.